Rusty Mauney couldn’t forget his wartime experience in Iraq. 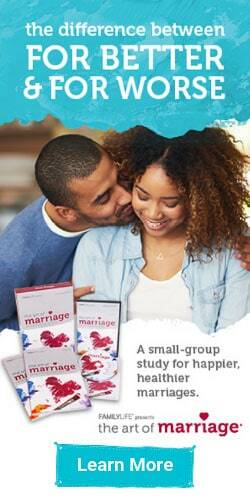 As he found relief in alcohol, his wife, Marsha, began asking God to save their marriage. When Rusty Mauney thinks about Iraq, he remembers the burn pits with the stench of incinerated food and scorched plastic. He remembers the open sewage that ran freely through the streets, the kids playing nearby in open fields of dirt. 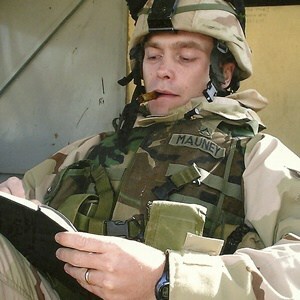 Rusty Mauney serving in Iraq as an army medic in 2004. And he remembers the popping sound of the sniper’s first shot on January 22, 2005. Within seconds, echoes upon echoes of machine gun fire merged to create sounds like rolling thunder. Rusty and his platoon had been ambushed. “Doc, get up here!” someone yelled, and Rusty saw one of his buddies pulling the limp body of their beloved lieutenant out of the road. By the time Rusty got to him, the young officer was gasping for air. Marsha Mauney was pregnant when her new husband left for war. So when he returned home from Iraq, his once-doting wife was now the mother of their 6-month-old son. She was busy with the baby. Rusty didn’t tell Marsha about his haunting war memories. But it wasn’t long before she realized he was a troubled man. Day in and day out he unconsciously waited for someone to kick in the door, just like his platoon did in buildings over in Iraq. And whether it was the sound of a car backfiring or the smell of burning food in the kitchen, in an instant he could be swept back to the battlefield. It was a textbook case of post-traumatic stress disorder (PTSD). Only one thing brought Rusty a semblance of peace: a bottle of whiskey. And it didn’t take long for his drinking to drive Marsha and him apart. It was common for Rusty to buy a pint of whiskey on his way home from work. Then he drank as much as he could within the 10 minutes it took to pull into his driveway. Within a half hour his blood alcohol level was so high that he would pass out. At first Rusty only drank on weekends. And then he drank most evenings, too. Sometimes he detached from his family while dwelling on things that had happened overseas. And sometimes he simply got angry. Marsha needed a miracle. God, if you don’t want this marriage to end, she prayed, then help me figure out what to do next. Things got worse when Marsha discovered that Rusty had a secret cell phone. Marsha had an uneasy feeling about it, but when she asked Rusty about it, he said a friend must have left it. Later, without Marsha’s knowledge, he threw it away. He continued drinking excessively and resented his wife’s constant nagging. Every time she questioned whether he was an alcoholic, he denied it. To him, alcoholics got drunk at work, went to jail, drank out of a paper bag behind a liquor store. And those things certainly did not describe him. In 2009 the Mauney family moved to Tennessee for Rusty to continue his physician assistant studies. He was in the top 10 percent of his class and provided well for his family. But he continued his drinking routine. It was there that Marsha discovered some old emails between Rusty and their former babysitter. She quickly realized the twosome had been in far too much contact. She confronted her husband and the woman, and they both downplayed their communication. Rusty said they did not have a sexual relationship, that it was just a friendship that had gone way too far. Marsha threw her wedding ring at Rusty and said she could deal with the truth but not lies. She was heartbroken. She drove to a nearby park, sat in her car, and cried. 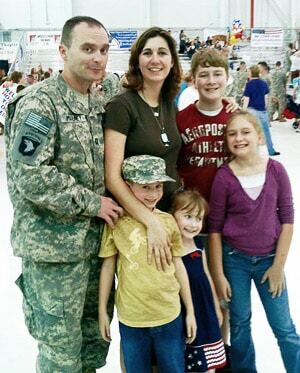 Rusty Mauney is greeted by his wife, Marsha, and their children when he returns home from deployment in 2011. She imagined what would happen to their kids if they got divorced. She realized no one’s life would be better. She decided she wouldn’t give up on their marriage, but she was confused. Her life made no sense to her. She felt like she had tried so hard to do the right things in life, yet nothing helped her marriage. Rusty was deployed to Afghanistan in 2010. Before he left, Marsha was relieved. She didn’t want anything bad to happen to her husband, and she didn’t want to divorce him. But, she says. “I didn’t mind him gone.” Finally, there would be peace in her home. As he left once again for war, she prayed, God, don’t let me hate my husband. A year later, after Rusty returned home, he was given custody of his daughter from his first marriage. Now with four children, he and Marsha moved into a larger home in the country. They also joined Yellow Creek Church, a new Baptist church with about 40 members. Later that day Marsha and Rusty talked by phone. He tried to explain the unexpected text—that he had struck up a friendship with a female coworker on the Army base. Marsha’s world came crashing down. Some of Marsha’s close friends had asked why she was still with Rusty. At times she wondered, too. Were they right? Was it finally time to give up on her marriage? Several days later, while cleaning her carpets, she heard a FamilyLife Today® interview above the whir of the shampooing machine. Scott and Sherry Jennings from North Carolina were telling their story about a marriage troubled by lies, rage, alcoholism, and adultery. Marsha listened as the Jennings described what God had done to heal their marriage. 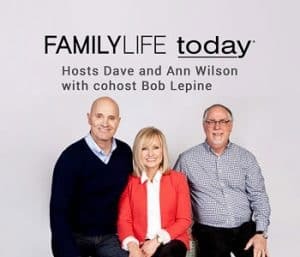 On the FamilyLife website she read transcripts of the FamilyLife Today interview and an article about the Jennings titled, “He Lived a Double Life.” In the process she learned about the marriage getaway that had helped the Jennings, the Weekend to Remember®. If God could use this getaway to help Scott and Sherry, could it help her and Rusty? And that’s when Marsha Mauney knew that she still believed in miracles. She traded her mustard seed of hope that God might save her dying marriage into genuine belief that somehow … in some way … He would. Marsha had asked Rusty to get help for their relationship for years. He always refused because he believed only weak people went to see counselors. But this time when Marsha told him that something had to be done about their marriage, he agreed. But Rusty was not ready to give up alcohol. In February 2013, while their church friends were praying for them, the Mauneys attended a Weekend to Remember getaway. The beginning of real change for Rusty came when he realized that his drinking was a major cause of his marriage problems. “If only I had spent that much time and attention on my marriage, we wouldn’t have been in that situation,” he says. The speakers also gave Rusty some hope. They were down-to-earth men and women who talked about some of their own painful times in their marriages. Rusty understood that lots of people have problems, and that was a turning point for him. Like Rusty, Marsha says the marriage getaway was transforming. It helped her remember why she fell in love with Rusty and she learned that he was not her enemy. The session about intimacy convicted Marsha that her cold responses to her husband were not what God expected from her. When Rusty and Marsha left the Weekend to Remember, they were seeing some real changes in their relationship. During the following year their marriage continued to grow. But Rusty still suffered from PTSD. A decade had passed since his deployment in Iraq, and as Rusty puts it, “I had been playing this war movie almost constantly in my head.” In his mind he watched his friends die over and over. One night in 2014, depressed by the mess he had made of his life, he sat on the back porch of his house with a 45-caliber pistol and a bottle of whiskey. He knew how to eliminate the memories that haunted him. The only thing that stopped him from killing himself that day was the thought of one of his kids finding his dead body. “I did not want my kids to see that,” he said. So instead of committing suicide, he went inside the house and passed out. When he awoke the next day and saw his gun, he was disgusted. “I had this respected professional life … and was extremely good at my job,” he said, “but I sucked at life. Many alcoholics have memory problems, and Rusty was no different. He can’t remember the exact day, but about two years ago he woke up with a hangover and sensed God saying to him, Okay, enough is enough. “And I agreed,” he says. With his counselor’s assistance, he began a week of intensive treatment for trauma and alcoholism. Six months of outpatient therapy were condensed into seven days. While he was gone, Marsha, their pastor, some deacons, and their wives fasted and prayed. After all the years, after all of their struggles, Rusty was a different man when he returned. The therapy focused on alcoholism being a symptom of Rusty’s trauma. It also helped Rusty say mental goodbyes to a lot of people who had died in Iraq and Afghanistan. Rusty got involved with Alcoholics Anonymous (AA), and Marsha found support in its program for loved ones of alcoholics. Rusty says that he will always struggle at times with the lure of alcoholism and reminders of war. But now he is equipped to fight those battles and knows where to turn for help. Rusty and Marsha Mauney in 2016. For many years, Marsha did not want to say anything nice to Rusty because she didn’t want him to feel good when he was treating her poorly. But today she brags about him whenever she can. “I am learning to trust his judgment more in the little moments and the big moments,” she says. Marsha says the Rusty she married has come back. He no longer lies, and he doesn’t explode in drunken anger. She and the children can depend on him. He is not her enemy, but instead her friend, partner, and the love of her life. 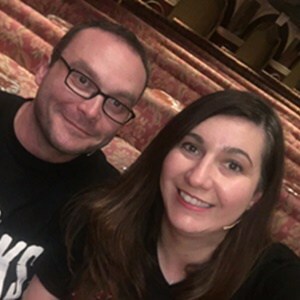 Today Rusty is a physician assistant in hospital emergency rooms in Clarksville, Tennessee, and Marsha is a nurse sonographer at a pregnancy resource center. They teach a college and career class together at Yellow Creek Church, which has grown to 400 members. And they tell others that no problem is big enough to disrupt God’s plan. In August 2016 the Mauneys co-hosted The Art of Marriage® video conference, a weekend event that teaches God’s design for marriage. As they saw 120 people fill the room, they were amazed by how God was using their once dying marriage. They consider their relationship to be an open book. “People feel comfortable coming to talk to us,” Marsha says, “because we have gone through a lot of stuff.” Their friends and family know their marriage today is sweeter because of how hard they have worked. As Marsha looks at each of their children today, she is so glad that she did not give up on her marriage. Thankful that she and Rusty fought to keep their family together. Amazed by God’s never-ending faithfulness.